Christmas season is in full swing. <3 <3 <3 I love the cards, the decorating, the spirit in the air, the cold and all that comes with it. What I do not love is that I get so caught up in everything 'Christmas' I forget to take time to spend with Jesus every day during the holiday season. I know! It's really messed up. However, I'm making an effort to not do that this season. I'm guessing I'm not the only person out there who struggles with this? I thought it might be helpful if I shared some devotionals that might give you some structure and accountability. All the devotions I am showing you can be found at You Version. You can set reminders on your phone and can send e-mails notifying your friends of your progress. Dave and I have been doing a Christmas devotional each night and it has been helpful in keeping focused. For the following devotionals listed if you click on the bold yellow title it will take you directly to You Version. The Christmas Story - A 5 day devotional that takes you chronologically through the Christmas story. Our Daily Bread - Christmas Edition - I use Our Daily Bread for my devotions daily and really enjoy it. This Christmas Edition is 10 days long and each day focuses on an aspect of the Christmas story. There is a small Bible reading as well as a devotional that accompanies it. 12 Days of Christmas with the Overflow - Love Christmas music? Then this one is for you. You have 12 days of a Bible passage, a devotional a video about the song and a link so you can listen to the Christmas song. I think this one would be neat for families. Good News of Great Joy - This devotional is 25 days. You have a Bible passage and a devotional to read. This focuses on the JOY in the Christmas story and on how you can incorporate it into your life. 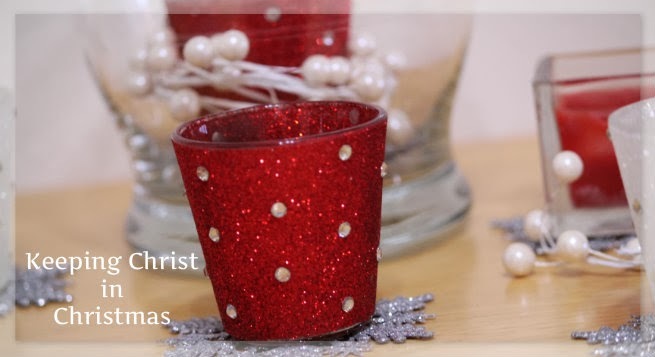 What do you do at Christmas to keep your focus on Christ? Do you have a tradition that helps? Would you read any of these devotionals? we've been doing the advent calendar from Naptime Diaries that has a print for each day & verses/thoughts on a companion packet. thanks for sharing these devotions cause i definitely want to do a little more, so i'm going to check these out! I haven't heard of Naptime Diaries but that sounds really neat! Thanks for sharing! I'll have to check these out. I have been trying to be intentional about prayer time, but so e days it doesn't happen, which is terrible!